The larvae which are not attended by ants feed on species of Cassytha which is a parasitic vine. Mature larvae various shades of green with a yellow green or white band. 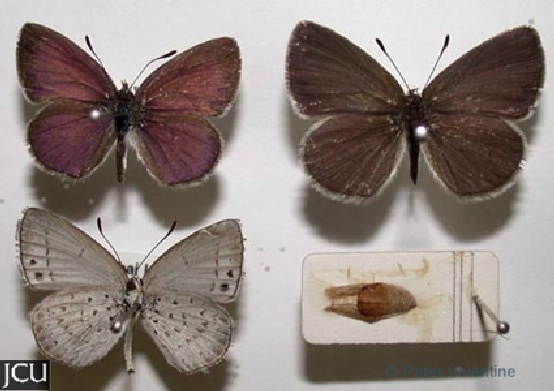 Adult male is purplish-bronze with a dark brown outer edge, female dark brown basal area purplish, fore wing often with two spots, hind purplish near base; lower surface paler.